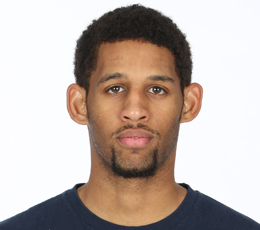 Crabbe has been projected as a late first-round pick, and he has the shooting ability to play a role quickly. NBA teams are always on the lookout for shooters, and Crabbe knows how to score, whether it’s on catch-and-shoot 3-pointers, in transition or in the midrange. Crabbe earned All-American and Pac-12 player-of-the-year honors while leading Cal to the third round of the NCAA tournament. He led the Pac-12 in scoring and racked up 15 games of 20 or more points. He was also among the league leaders in 3-point field-goal percentage (fifth), free-throw percentage (eighth), defensive rebounds (10th, 5.1) and rebounding (18th, 6.1). Per Synergy Sports, Crabbe hit 53.8 percent of his unguarded catch-and-shoot opportunities in his junior season, meaning he cashed in on the rare opportunities opponents let him slip away.